NOW SELLING! A home in the beautiful suburb of Arlington is often a dream of families hoping to relocate to DFW due to Arlington's centralized location between Dallas and Fort Worth. And at HISTORYMAKER Homes, we would be happy to turn this fantasy into a reality by offering you a new home for sale in Arlington in our Twin Hills community. These lovely new Arlington, TX houses offer unparalleled value for the money and are within the Mansfield ISD, ensuring young future residents will have access to a quality education and a solid community of peers. Why should you consider a new home for sale provided by Arlington homebuilder HISTORYMAKER Homes? At HISTORYMAKER Homes, we are committed to excellence in our new-home development as well as customer satisfaction. We have been operating in the Metroplex area for combined 60-plus years, and we put that experience to work each and every day for our customers who are interested in purchasing the home of their dreams. Of course, our decades of service in the Dallas-Fort Worth area has earned us the trust of countless individuals and families who have reaped the benefits after deciding to purchase a house from HISTORYMAKER Homes. 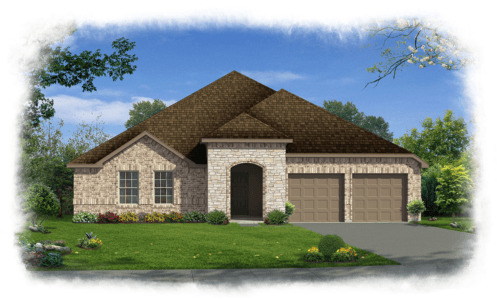 It is rare to find a local homebuilder who has roots in the community, who is dedicated to exceptional service and the development of trust among future clients, and who is able to offer you the new Arlington, Texas home of your dreams at an affordable price. However, at HistoryMaker Homes, we proudly boast these qualities, and we are prepared to prove it today by offering you one of our incredible homes for sale in the Twin Hills community in Arlington. Contact us today by phone, filling out a form or visit us in person and let our team of New Home Consultants show you the new Arlington home of your dreams.